Axis is the market leader in network video. They invented the world’s first network camera back in 1996 and have been innovators in video surveillance ever since, increasing the security of millions of people worldwide and helping to meet the growing need for a smarter, safer world. With the help of 90,000 partners, spanning 179 countries, they’ve delivered a series of groundbreaking products and many industry firsts. And, they look forward to pioneering many more. Axis network video products are installed in public places and areas such as retail chains, airports, trains, motorways, universities, prisons, casinos and banks all over the world. Axis is a Swedish-based company founded in Lund, which acts globally via its own offices, representatives and well-developed collaboration with partners. In today’s healthcare economy, hematology laboratories are under increasing pressure to do more with less. They are asked to reduce costs, speed up testing and improve productivity while taking on an increasing number of samples and, despite a widespread shortage of proficient staff, deliver better and more reliable results. CellaVision's business success rests on our ability to effectively address these customer challenges and help laboratories leverage technology in the pursuit of operational efficiency. CellaVision's products automate and rationalize the work that is traditionally done by laboratory personnel using conventional microscopes. By introducing innovative automation, digital imaging and artificial neural network technology, CellaVision makes the analysis process faster, better and more flexible – creating a more streamlined workflow for the laboratory and improving quality of care for healthcare patients. Combine Control Systems is a consulting company built by social nerds with a passion for helping our customers take their business to the next level using control systems and data science! At Combine, we are experts in software development, advanced mathematics, physics and artificial intelligence including machine learning and deep learning. Since the company was founded in 2002 we have been supplying professional engineering services and solutions, developed in the field or in-house. We also provide specialist or supplementary customer training. Our vision is to improve technology around the world. Or as we like to say: “Enter the next level”. We follow this motto by helping our customers to take their business to the next level. Our success is built on our customers’ success, and we make progress by combining our strengths. Image Systems Motion Analysis offers accurate and valuable measuring results – fast. Our software is used in hundreds of different applications where the motion, orientation or shape of an object is subject of measurement and analysis. What happens when a car crashes? What is the orientation of a bullet the instant before impact? How can a sport athlete optimize certain ways of moving to gain better results? How can the aerodynamics of a golf ball be improved? These are just a few examples of questions that can be answered when using TEMA and TrackEye from Image Systems Motion Analysis. The TEMA software platform provides a range of user friendly, high-speed motion analysis solutions. The TEMA Automotive product line is the world’s leading solution for advanced motion analysis in automotive crash testing whilst TEMA Motion is used for advanced motion analysis of industrial test and design applications. Its accurate tracking algorithms, advanced motion analysis and excellent presentation tools are crucial for delivering the highest quality test results. TrackEye provides image analysis solutions for the military reconnaissance and testing markets all around the world. Image Systems Motion Analysis is one of two business units within the IMAGESYSTEMS group of companies. TEMA and TrackEye implements a huge amount of advanced image analysis algorithms, and the applications for these are continuously growing. One recent example is DIC, Digital Image Correlation, deriving from the field of material testing, which is fully incorporated into TEMA. Another example is POM, Projectile Orientation Measurement, which is a complete system for determining the orientation of a bullet in flight. The developers and system engineers at Image Systems Motion Analysis are all deeply involved in developing algorithms and implement them into our state-of-the-art products. Neodev är Lunds egna konsultbolag med knivskarp kompetens inom Machine Learning. Vi är specialister som problemlösare inom Software Engineering. Neodev genomsyras av delaktighet, från rekrytering till slutkund. Vår modell, där medarbetarna är delägare i företaget, utgör kärnan i verksamheten. Vi rekryterar bara konsulter som lockas av öppenheten och delaktigheten, och det borgar för kompetenta konsulter som är engagerade i sitt arbete, både ute på uppdrag och inom företaget. Den revolution inom både mjukvara och hårdvara som vi sett de senaste åren har gett fantastiska möjligheter att automatisera och integrera intelligenta lösningar i allt fler branscher och produkter. Många företag har redan kommit en bit på vägen med att kapitalisera på detta, medan andra precis har börjat förstå värdet det tillför. Oavsett vilken fas de befinner sig i så utgör Neodev en kompetent samarbetspartner. Vi söker vikarier till Malmö stads grundskolor! Sentian was founded summer 2016 just after eBay acquired Expertmaker by a team of highly skilled people with a vision to help large companies transform their businesses to become algorithmically driven through AI and machine learning. We strive to be leaders in the field and apply the latest thinking and technologies to make sure our customers have the best technology. There is a great opportunity to create real transformation through becoming an algorithmically led company. Most industrial and telecoms companies have a great tradition of excellence in engineering. However, in order to become a leader in the industrial internet era companies must treat a lot of challenges as a computer science problem rather than an engineering problem. Sentian provides state of the art Artificial Intelligence and Machine Learning solutions and services that powers learning solutions harnessing data and algorithms to transform end evolve industrial and telecoms companies. Sentian is based in Malmö. Jane Street is a very different street. Jane Street is a quantitative trading firm with a unique focus on technology and collaborative problem solving. As a leading market maker, we commit our own capital and use our global footprint to help institutions trade with consistently tight spreads. We excel at providing liquidity in complex and difficult-to-navigate markets — even during periods of dislocation and volatility. Our forte is in pricing large trades while minimizing market impact and information leakage. We are problem solvers with a passion for finding answers to our clients’ most difficult challenges. Unionen är Sveriges största fackförbund. Vi finns för tjänstemän på den privata arbetsmarknaden. Utöver våra yrkesverksamma medlemmar välkomnar Unionen även egenföretagare och studenter. Det är oavsett befattning, utbildning eller lön. Unionen är ett fackförbund där alla tjänstemän på en arbetsplats i den privata sektorn kan vara medlemmar. 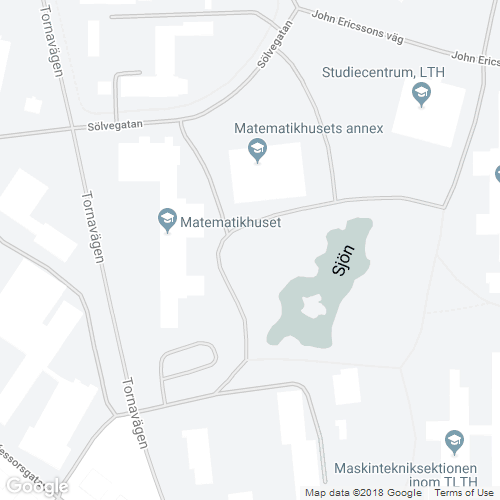 Utöver våra yrkesverksamma medlemmar välkomnar Unionen även egenföretagare och studenter. Det är oavsett befattning, utbildning eller lön. Unionen finns i allt från stora internationella koncerner till små familjeföretag, organisationer och föreningar. Unionen är en medlemsstyrd organisation byggd på representativ demokrati. Vi är 660 000 medlemmar, varav mer än 30 000 förtroendevalda på över 65 000 arbetsplatser. Prata gärna mer om medlemskapet med Unionen på FARAD. GeoSignage är en startup med en innovativ mjukvara som förbättrar upplevelsen för resenärer inom kollektivtrafiken. Företaget utvecklar ett system för GPS-styrning av trafikinformation, nyheter och reklam på TV-skärmar på bussar- och tåg. Trots att marknaden fortfarande är i sin linda har GeoSignage redan kunder på flera platser i Europa, Kanada, USA och Nya Zealand. Kommande åren blir en spännande resa och det kommer att behövas drivna och trevliga människor som vill jobba på en plats där man faktiskt påverkar hur det går för företaget. Vi hoppas träffa några av er på Farad!